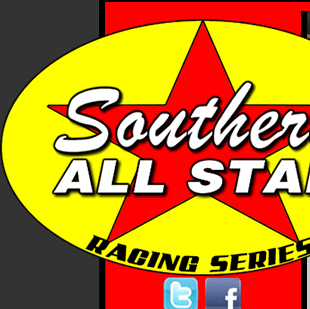 FAYETTEVILLE, TN—The Southern All Stars Dirt Racing Series presented by Max Fab will make its first stop of the 2018 season this Saturday August 4th at the Blue Ridge Motorsports Park in Blue Ridge, GA., for a 40 lap $4,000 to win event. This will be the first time the series has returned to the north Georgia track since 1994 when two Southern All Star Champions won those event being Dale McDowell and Rex Richey. Jay Scott of Fayetteville, TN., is the current series point leader as well as the Cruise with the Champions/Dirtondirt.com rookie of the year leader and will be one of the drivers to watch as he has finished every race so far this season in the top ten. Mark Dodson of Caledonia, MS., is second in the series standings and will making his first appearance ever at the north Georgia track, third place from Pulaski, TN., is Ray McElhiney, fourth place is Brad Skinner of Spring Hill, TN., and Eric Hickerson of Linden, TN., all of whom expected to be in action. Other drivers that are expected to be in action Riley Hickman of Ooltewah, TN., Joseph Faulkner of Flintville, TN., Kenny Collins of Colbert, GA., Jadon Frame of Decherd, TN., Gary McPherson of Dalton, GA., David Payne of Murphy, NC., plus many more from across the area.